You’ve got your sewing machine, your thread, and all the little notions for you to really start getting your sewing groove on today. Yet you could use a few sewing ideas. The types of projects that you are coming across are just a bit too advanced for someone at your level. Been there, done that dearies! 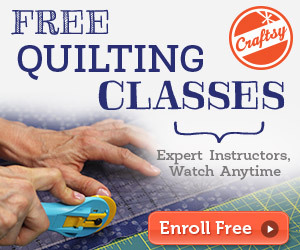 Don’t place the sewing machine away. We have gathered together some fun and easy sewing projects to not only help you hone your skills, but also create great gifts as the holiday season approaches. Hot pads are those kitchen items that everyone wants so they can protect their counters and tables from hot pans and casserole dishes. This easy hot pad project will have you using up all those scrap pieces of fabric and batting that are lying around in your fabric closet so you can create unique hot pads that can be placed into fantastic housewarming gift baskets. This reversible placemat craft allows you to use any patterned fabric to create placemats that can be flipped from one side to the other to change the decor theme at the kitchen or dining room table. Have elegant-looking fabric on one side for those candlelight dinner dates, then flip it over to the colorful, fun side when the kids have play dates. After the meal, just throw the placemats into the wash when they get messy. Pillowcases are expensive at the regular large box stores and retailers. Save some money and make your own pillowcases so they match your sheet set perfectly when your old ones become too worn to use. What makes this pillowcase project so ideal is that you can make several different styles — from elegant to modern designs — so you can place these pillowcases in your master bedroom, guest room, children’s bedroom or college dorm room. You probably know at least one couple or relative who recently had a new addition to their family. This burp cloth craft is perfect for beginners of all ages. While baby shower gifts may have consisted of tons of onesies, books, baby toys and bibs, the one thing that the couple will be grateful to have is a burp cloth after feeding their new baby. This DIY gift will be appreciated as the parents will go through a ton of burp cloths that will too quickly become soiled and stained. 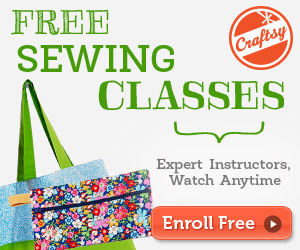 You might be itching to move from regular kitchen and household sewing crafts to clothing projects. Might we make a suggestion and recommend drawstring pajamas? Pajamas will make the ideal first clothing project because even if you mess up a little, nobody will really know because you will only be wearing them inside the house and in the bed. And really, this pajama project is a cinch to do. They will be soft and comfortable as you will want to relax in them all day. Beginners can sink their sewing needles into these fantastic projects that can allow them to hone their skills and create beautiful crafts. Don’t be afraid to let your creativity shine through and tweak the projects to come up with some unique patterns and designs all on your own.